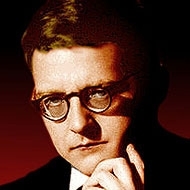 Shostakovich, Dmitri (1906-1975) | Item List | HMV&BOOKS online is a world class entertainment website which provides CD, DVD, Blu-ray, Games and Goods, Books, Comics and Magazines. Ponta Point available for both sites! Special campaigns and limited novelty with multiple payment & delivery options for our customer’s satisfaction! "Symphony No, 5, : Mravinsky / Leningrad Philharmonic (1973 Tokyo)(Single Layer)"
"Symphony No, 5, : Mravinsky / Leningrad Philharmonic (1973.5.26 Tokyo Live)"